The overspill of fighting through the porous Syria-Lebanon border is regarded by Washington as a red line in the escalation of regional hostilities. Its chosen strategy to address this concern involves bolstering the capabilities of the Lebanese Armed Forces (LAF), and promoting the institution as Lebanon’s sole legitimate security force. As such, even as the U.S. cut funding for moderate democratic forces in Syria, the LAF has received an additional $120 million in military hardware to complement the $1.5 billion invested since 2005. These efforts imply intent to undermine Hezbollah’s hegemony in Lebanon by counteracting its substantial military support from Iran. However, Hezbollah’s dominance in this power dynamic is not about weaponry alone, but a monopoly on military success in Lebanese historical memory. To its credit, the LAF succeeds in treading lightly between sectarian divisions in Lebanon and receives broad domestic backing. However, this support does not compare to the admiration enjoyed by Hezbollah from large swathes of the population. This is because Hezbollah boasts a proven military track record, while the LAF’s reputation is mired in scandal. In addition, the Force struggles to distance itself from a documented inability to secure stability, complicating its quest to dethrone Hezbollah as self-proclaimed protector of Lebanon, and with significant implications for the region’s geopolitical landscape. Perhaps most damaging to the LAF’s reputation is its history of passivity in the face of Israeli aggression. The Arabic-language press frequently references the 2006 July War, when images of an LAF base commander, serving tea to smiling Israeli soldiers in Marjayoun, South Lebanon, circulated domestic media. The incident, known as the ‘Marjayoun Tea Party’, has become synonymous with what Al-Hadath labelled the ‘shame’ and ‘humiliation’ dealt by the LAF to Lebanon. Pertinent to this examination is how memory of the event is utilised; without a base in positive national memory, the LAF is vulnerable to politically opportunistic attempts to undermine their legitimacy. For instance, the official newspaper of Syria’s ruling Ba’ath party slated the LAF’s 2015 prisoner swap with al-Nusra Front – where officers allegedly offered adversaries mezze and baba ghanoush – as a repeat of the Marjayoun Tea Party. Syria therein dangerously contributed to denigration of the LAF on behalf of the regime’s close ally. When juxtaposed with Hezbollah’s ability to engineer moments of theatrical military spectacle, this scandal reinforces for citizens which group best projects a powerful national image. During the same 2006 conflict, Hassan Nasrallah called on the Lebanese to look out to the sea off Beirut just as an Iranian missile struck the Israeli vessel INS Hanit. While the LAF extended hospitality to the invader, Hezbollah was busy bloodying its nose and broadcasting it through their media outlets. Hezbollah’s fiery rhetoric is supported with memorable exploits while the LAF’s claims consistently fail to match the reality of their capabilities; most recently, the Force’s Fajr el-Joroud offensive ended in an evacuation of Daesh fighters and their families from Lebanese territory, reneging on promises of total victory without concessions. It is crucial to note that the LAF habitually states it cannot and will not openly confront Hezbollah, whose multilateral cooperation remains vital for Lebanon’s stability. Therefore, it is nonsensical to buttress LAF armouries in hopes they will one day face down Hezbollah. Rather, the international community must allow the LAF to develop as a cohesive institution able to dispel accusations of ineptitude from its adversaries. This means empowering the LAF to engage in extra-military activities, such as social programs, to reach as much of the Lebanese population as possible through goodwill. 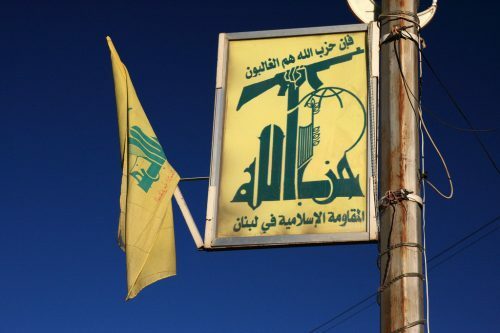 Essentially, Hezbollah derives its support from its proven battlefield exploits and the subsequent belief amongst many Lebanese that Hezbollah is more capable of defending Lebanon than the LAF. Only when this perception is disproved can the LAF rise to their rightful place as Lebanon’s legitimate security force. The catalyst for this process may not be long coming; as Israel seemingly prepares to deal a fatal blow to Hezbollah, the LAF could be Lebanon’s lifeline in preventing a power vacuum and subsequent overspill from Syria. However, this is impossible without the U.S. addressing and challenging Israel’s perception of the LAF. Were Israel to violently act on its stated consideration of the LAF and Hezbollah as a homogenous entity, the U.S. could see one recipient of its military aid destroying another. The point at issue is thus: if Washington does not urge Israeli restraint against the LAF as it works to build a national military for a prosperous Lebanon, it may inadvertently sanction the crossing of its own red line. Reuters, ‘Lebanese army to get $120 million in U.S. aid’ (2017) at https://www.reuters.com/article/us-lebanon-military-usa/lebanese-army-to-get-120-million-in-u-s-aid-idUSKBN1E72J6 (viewed 17/12/2017). Oren Barak, The Lebanese Army: A National Institution in a Divided Society (New York, 2010), p. 17. عبدالله قمح, ‘ سنوات على حفلة عار وذل «شاي مرجعيون» الذي لم يمحَ بعد 6’ (2012) at http://www.alhadathnews.net/archives/40044 (viewed 16/12/2017). البعث, ‘ تحرير العسكريين اللبنانيين يعيد للأذهان “شاي مرجعيون” قوى لبنانية: محاولات تلميع صورة “النصرة” انحياز للإرهاب’ (2015) at http://albaath.news.sy/?p=65945 (viewed 16/12/2017). Augustus Richard Norton, Hezbollah: A Short History (Princeton, 2007), p. 136. Dan Williams, ‘Israel says Hezbollah runs Lebanese army, signaling both are foes’ (2017) at https://www.reuters.com/article/us-mideast-crisis-israel-lebanon/israel-says-hezbollah-runs-lebanese-army-signaling-both-are-foes-idUSKBN1CF25R (viewed 15/12/2017). Barak, Oren, The Lebanese Army: A National Institution in a Divided Society (New York, 2010). Norton, Augustus Richard, Hezbollah: A Short History (Princeton, 2007). Williams, Dan, ‘Israel says Hezbollah runs Lebanese army, signaling both are foes’ (2017) at https://www.reuters.com/article/us-mideast-crisis-israel-lebanon/israel-says-hezbollah-runs-lebanese-army-signaling-both-are-foes-idUSKBN1CF25R (viewed 15/12/2017).